As one of the most important chapters of my life comes to a close, I have been thinking about how I got to this point – graduating from New York University with honors. Reflecting on the journey I have taken to get here, the first person that comes to mind is my mom, who has pushed me and supported me more than anyone else. I should start by saying that Mami, who was raised in a tight-knit Cuban household, is as “old-school” as it gets and never really approved of my going away for college. No one in my family had ever taken that "risk," and here I was packing my bags and leaving my home in Florida to finish my college career more than 1,000 miles away. The first month was brutal. I would get calls six times a day for an update that I was still alive and doing well. “Mijita, ya comistes?” ("did you eat?") was, and still is, the most frequently asked question. Every day I’d give my mother a play-by-play of my day and what my schedule looked like for the rest of the week. To my mom, I was strong and determined to make it. But when she was asleep I would call my sister, homesick, so my mom would not think I was backing out of my decision to leave home. Two years have passed since I made the move and I have yet to go one day without talking to my mother. Now that I am two weeks away from graduating and I am looking for a job and an apartment, I call her frantically. She stops what she is doing and puts my worries at ease. It has been said that Latina moms are overprotective and like to keep their kids close to make sure nothing happens to them. Boy, does my mom live up to that description. Yet it took a lot of strength for my mom to let me go. 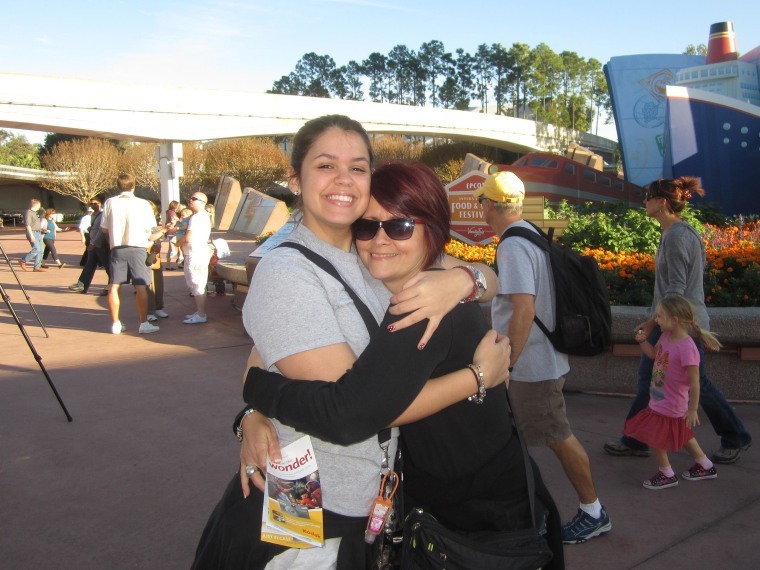 Although I know it was hard for her to let me go, my mom has always given me the strength and support to keep me going. She is always one step ahead making sure I avoid hardships, and always has sound advice when I need it the most. It has been said that Latina moms are overprotective and like to keep their kids close to make sure nothing happens to them. Boy, does my mom live up to that description. Yet it took a lot of strength for my mom to let me go. I know it’s not easy for her to be so far away, but she let me, her first-born, pursue the education and life I dreamed of having.I hope I inherit her strength when I have children of my own. That is why on this Mother's Day, I wish her and all the moms just like her an amazing day. I hope mothers like mine know that while we may not show it, we are thankful for the calls, the advice, and the daily strength we get from them. We would not be here without you and we appreciate all that you do.